Amid the mud and death of the First World War, Lt-Col. George Stephen Cantlie found flowers blooming in the gardens, fields and hedges of war-ravaged Europe. He pressed them between the pages of a book, then sent them home in letters to “wee Celia,” his baby daughter in Montreal. She was only a year old when he sailed in 1914. He feared she would never know him. 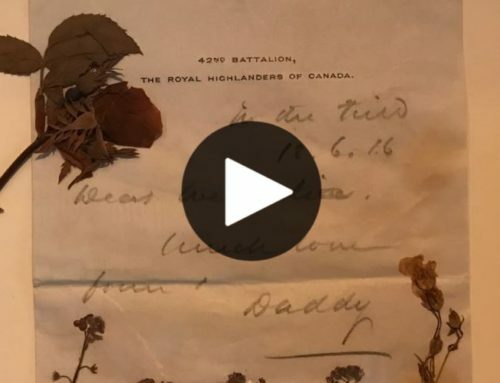 Cantlie survived the war to be remembered by his daughter and become a “doting” grandfather, but his letters, folded around the flowers that retained only a ghostly hint of blue or pink or yellow, sat in a box, forgotten by all but Angus. 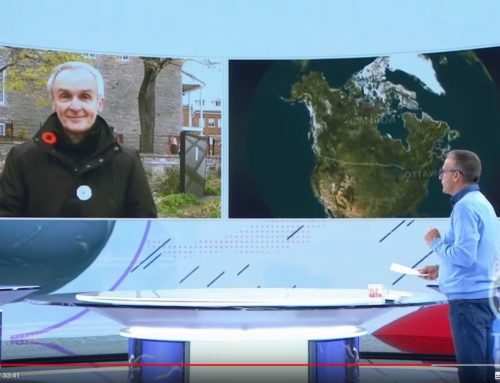 Through a Montreal museum, they found their way to Viveka Melki, a documentary filmmaker who had spent years interviewing Second World War and Korean War veterans. The artifacts – so fragile they had to be conserved right away – left her “speechless,” but in telling their story she’s found a unique voice. 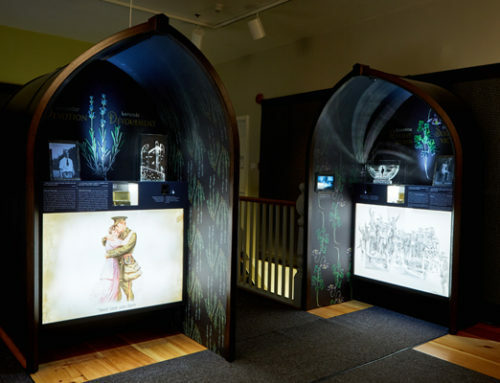 It combines floriography – the language of flowers – with the stories of Canadians touched by the First World War, crystal sculptures, everyday objects from the trenches, soundscapes, and fragrances mixed by a perfumer to evoke 10 distinct themes. Familial love. Innocence. A mother’s love. Eternal sleep. Grace. Resolve to win. Devotion. Solitude. Memory. Healing. “What we were trying to do is talk about conflict and what doesn’t change,” Melki said. Each niche of carved wood, echoing the shape of the gothic cathedrals razed by war and rebuilt, feels like a reliquary. They showcase one of the flowers Cantlie picked and one or more of his letters along with the story of a Canadian who embodied the theme. The scents developed by Magog, Que. perfumer Alexandra Bachand – exhibit-goers press a button to release them – feel like sacramental incense in the museum’s cloister-like Regeneration Hall, while light pierces crystal sculptures by Toronto artist Mark Raynes Roberts. “The crystal is the light in the darkness. This is a lot of darkness,” Melki said. 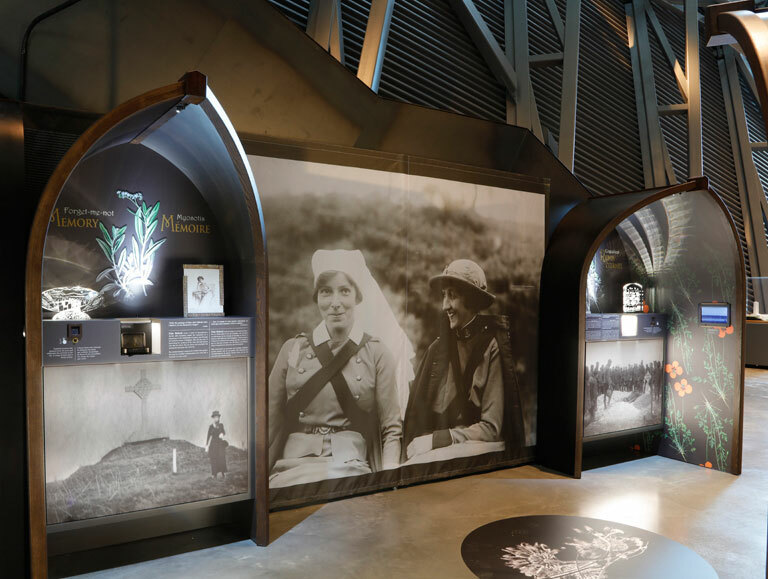 The theme that draws veterans most is “Healing,” inspired by the flowers of the medicinal herb stitchwort and incarnated by Georges Vanier, a founding member of what became known as the Van Doos who lost his leg to a shell in 1918. The crystal sculptures depict how soldiers are shattered by war while the fragrance evokes both the hospital and the hope of recovery. 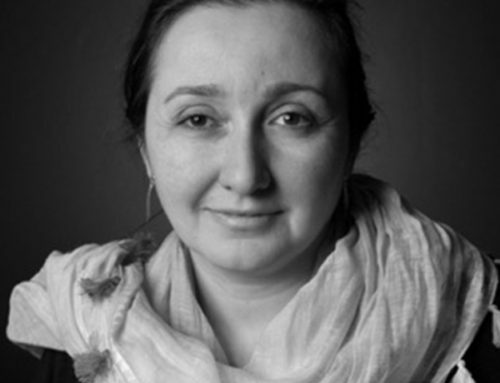 “In a military hospital, odours of camphor and antiseptics float and give way to healing of the body and the mind,” perfumer Bachand imagined as she combined marjoram, eucalyptus and lemon. The scent of familial love, represented by Cantlie’s yellow rose, is meant to evoke a family’s home of the period with its crackling fire and nearby stable using bitter almond, hay and myrrh. The “iron, bitter, heavy” of eternal sleep evokes oppressive silence with ambergris, frankincense, and oakmoss. There’s sound, too, of a relentless rain or the urgent tapping of an S.O.S. Underfoot are blown-up X-ray images of Cantlie’s flowers taken as a botanist worked to identify them. The walls are papered with the names of some of the 68,000 Canadians killed or wounded during the First World War.